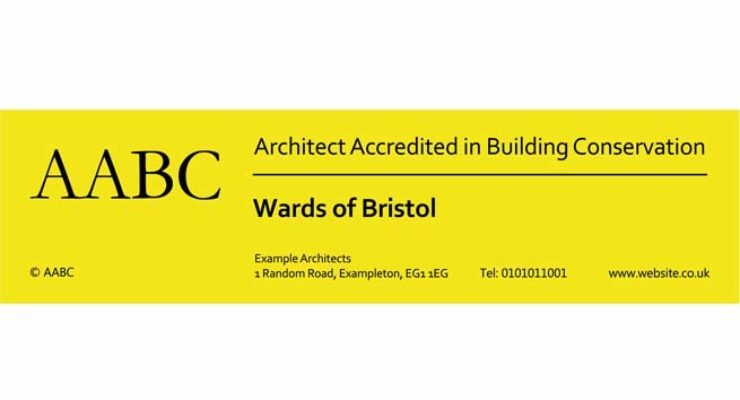 Site Sign Boards for Architects Accredited in Building Conservation members, AABC is an independent accreditation body for and by skilled conservation architects. The Register of Architects Accredited in Building Conservation (AABC) is an independent accreditation body established in 1999 for and by skilled conservation architects. The primary purpose of the AABC Register is to protect the historic built environment from damaging interventions devised by people not skilled in historic building conservation and adaptation. It does so by publishing, for the benefit of clients, a register of architects whose work and skills in building conservation have been established by peer assessment moderated by a lay assessor representing the client. The AABC signboard represents the individual architect whose skills and competence have gained inclusion on the Register of Architects Accredited in Building Conservation. Siteboards for RICS members - The Royal Institution of Chartered Surveyors (RICS) is an independent, representative professional body which regulates property professionals and surveyors in the United Kingdom and other sovereign nations.